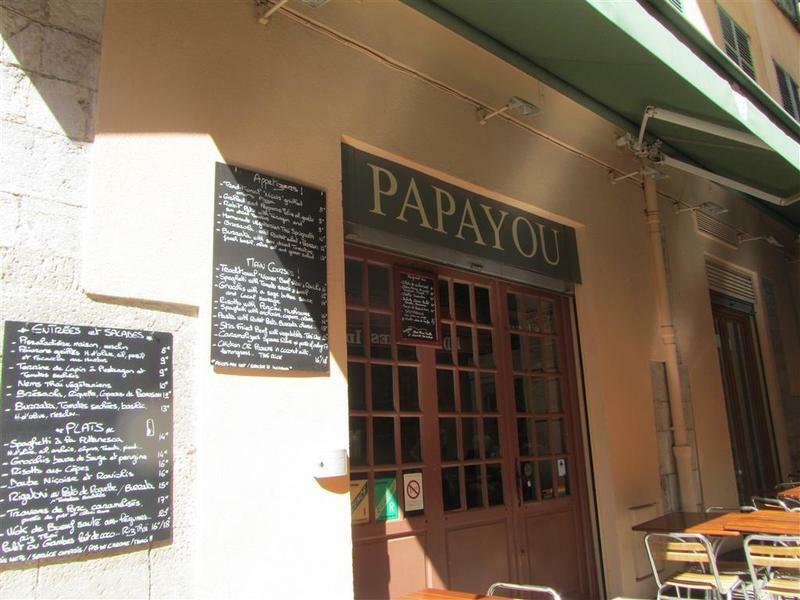 Nestled in the narrow streets of the old town area is where Papayou is located. All of the food is prepared with fresh market produce and there are Nicois dishes as well as Thai ones. 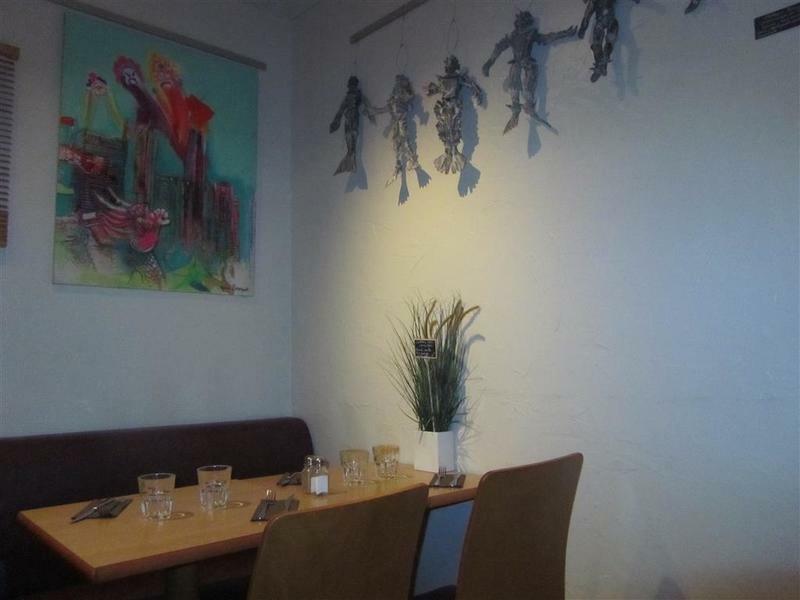 The decor is quite quirky with colourful artwork and structures. Plants and flowers decorate the tables. The kitchen is at the front of the restaurant which then leads onto a small seating section. There is also outdoor seating for this corner restaurant. Papayou have really friendly and helpful staff. The traditional “Nicois” Pissaladiere Maison was very tasty. 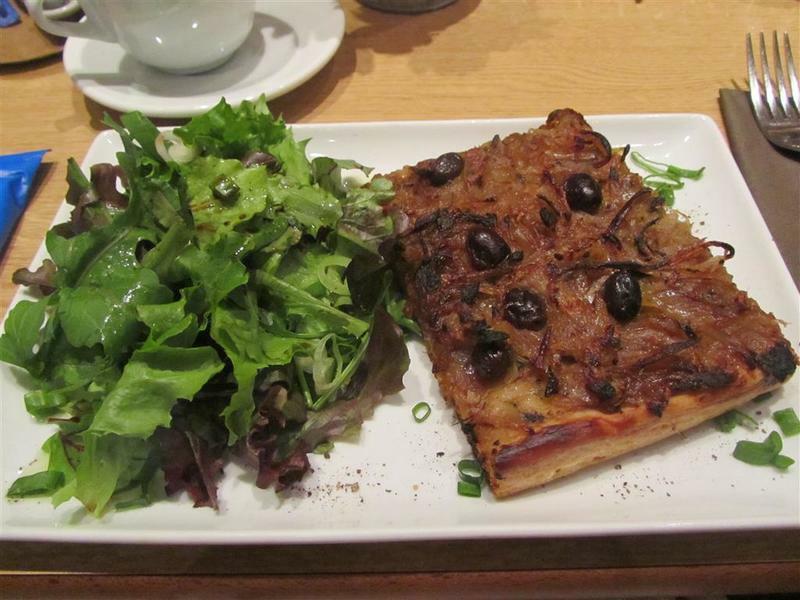 A great pizza bread topped with sweet grilled onions, olives and a salad on the side. This bread together with the bread rolls for the table was so fresh. 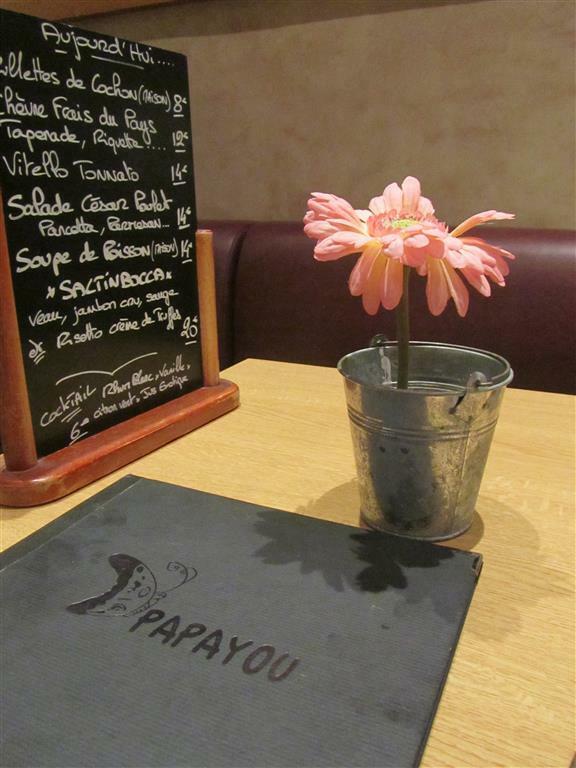 Papayou had a few specials of the day, one of which was the Soupe de Poisson. The staff told us that this fish soup was made with local produce and to a traditional recipe. 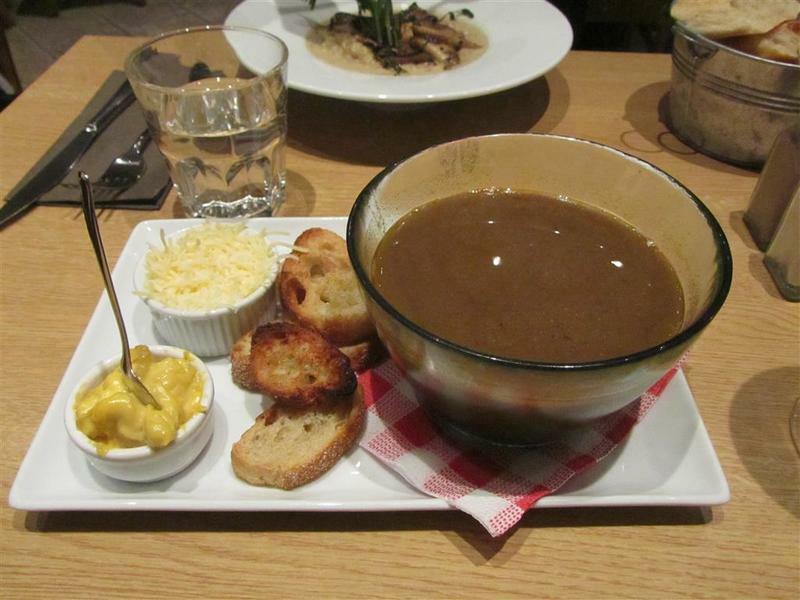 The Soupe de Poisson was a hearty soup with sides of crostini, mustard and grated cheese. 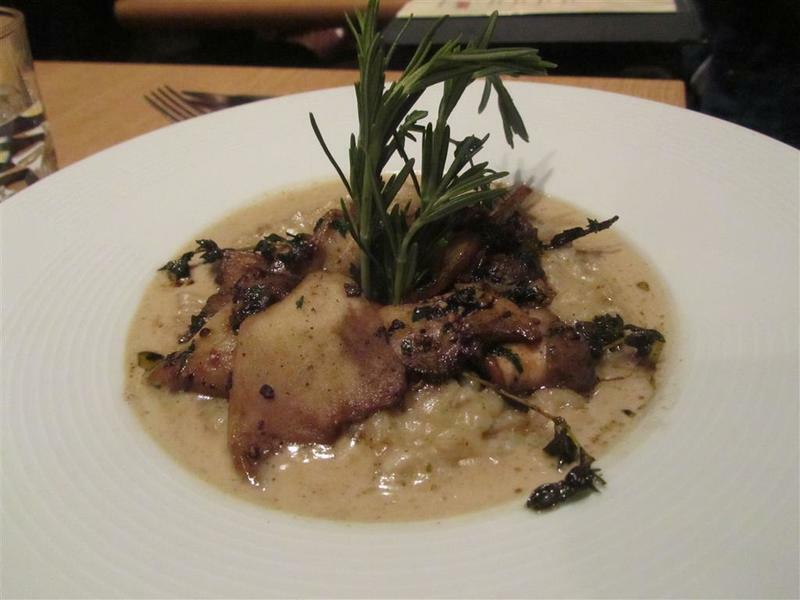 Another good choice was the Risotto aux Cepes. This porcini mushroom risotto was creamy with the deep flavours of mushroom and garlic. Big sliced mushrooms topped the dish with sprigs of rosemary and thyme. Papayou gave us a great satisfying meal and filled our appetites well. The quality of the food was of a high standard. It is worth seeking out this restaurant in the old town.